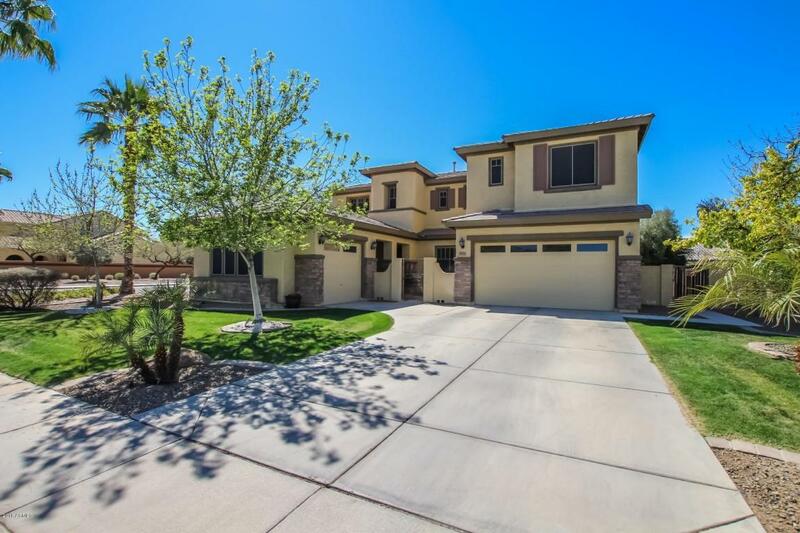 Plenty of space for every one and every thing in this great Gilbert home! First floor boasts lots of upgraded 20'' tile and two tone paint with a formal dining at entry, large family room open to eat-in kitchen w/upgraded 42'' staggered maple cabinets, slab granite counters w/island & upgraded stainless appliances incl double ovens & gas cook top! Large bonus room was theater room & still has wiring for it, currently a play room. Downstairs bed/full bath.Upstairs you'll find a loft area w/built in bookshelves and a separate work area w/built in desks. 5 bedrooms are all great size! Mstr bath has two large his/hers executive height vanities w/upgraded fixtures. Large mstr closet and upstairs laundry w/lots of cabinets. This home has a TON of storage!! 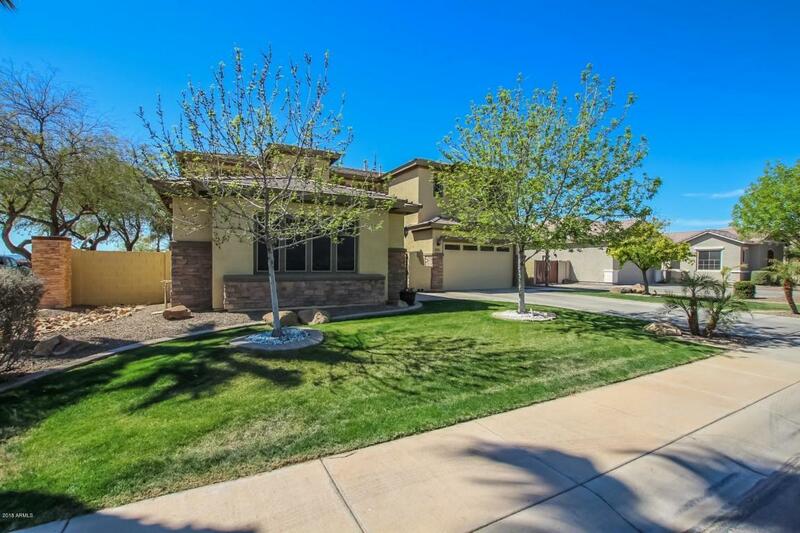 3 car split garages w/storage cabinets.Big lot with large grassy yard and fenced pebble pool w/water feature. 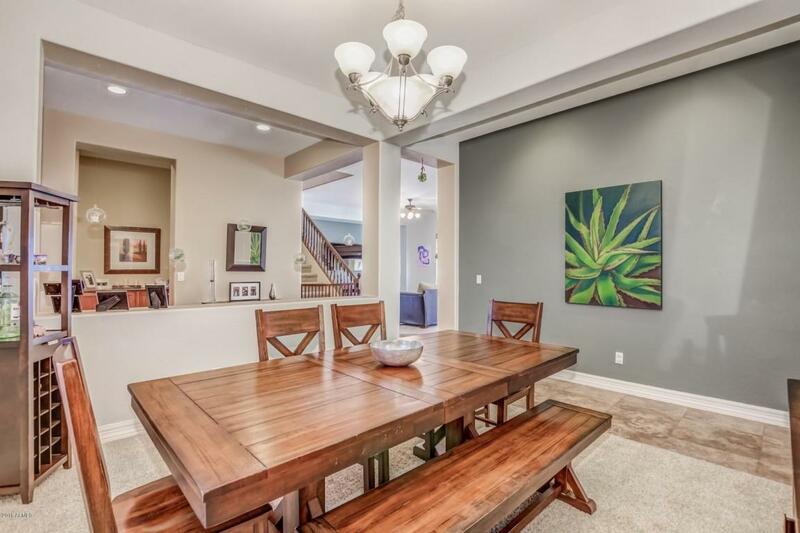 Corner lot gives added privacy w/all one story homes around. Large side yards add extra area for storage or games & gives nice space between homes. This one checks off all the "must haves" on your list! 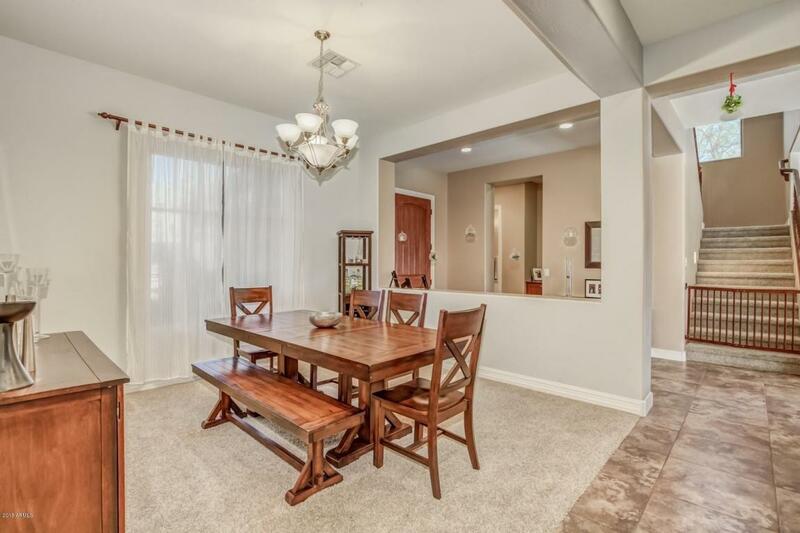 Great location minutes to freeway, San Tan Mall, dining, shops and entertainment! !